Product #20554 | SKU SDR-7767 | 0.0 (no ratings yet) Thanks for your rating! 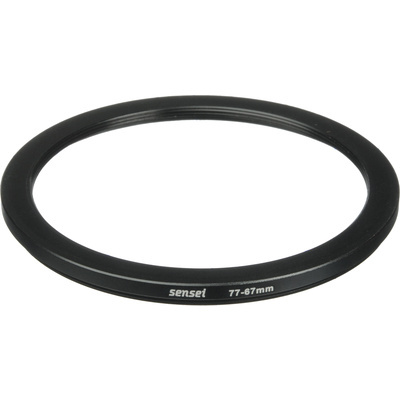 The Sensei 77-67mm Step-Down Ring is a step-down ring permitting the use of 67mm threaded filters on a 77mm threaded lens. This black anodized metal ring provides a durable solution for using one size of filters with various sized lenses.